Victoria-Idongesit Udondian was born in Lagos, Nigeria and lives and works in New York, NY. Working across disciplines, Udondian creates multimedia installations and performance art. 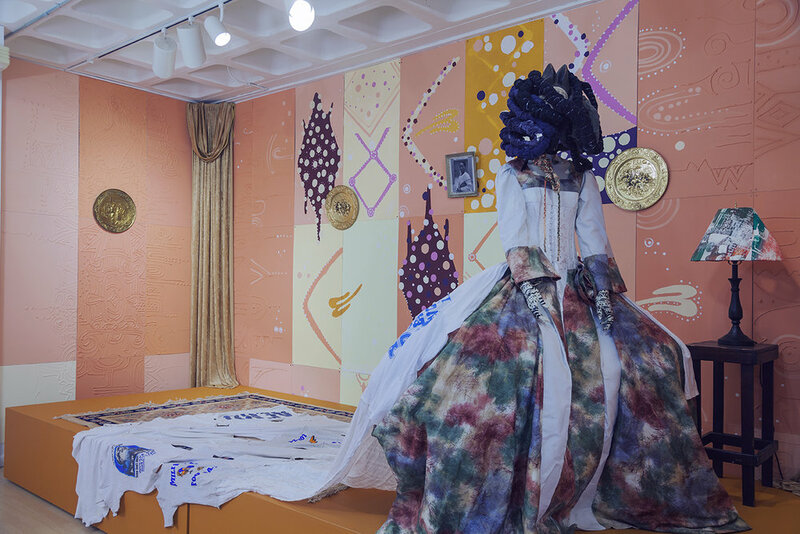 Drawing from her experiences growing up in Nigeria, she engages with West African textiles and repurposed Western material to investigate how fundamental changes in fabric can affect one’s perception of his or her identity, and ultimately a nation’s psyche.